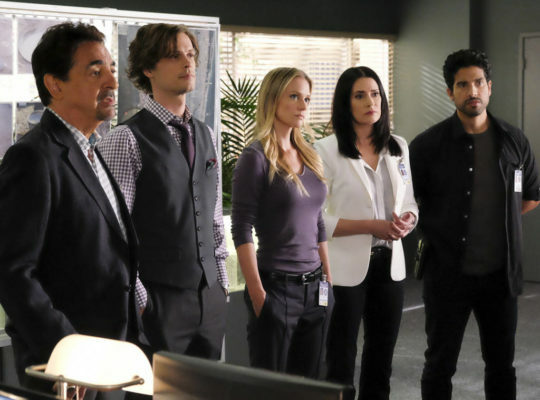 Mark your calendars, Criminal Minds fans! CBS has just confirmed the premiere date for the TV show’s upcoming 14th season. On Twitter, Criminal Minds EP Harry Bring confirmed season 14 will debut on CBS on September 26th at 10 p.m. ET/PT. Also, based on Bring’s comments and behind-the-scenes photos, it looks like there will be fewer episodes this season — just 15 installments. However, Bring says there’s a chance that CBS could order more. Once again, several cast members will be directing episodes this season, including Matthew Gray Gubler, Aisha Tyler, Joe Mantegna, and Adam Rodriguez. What do you think? Do you watch Criminal Minds? Are you looking forward to the new season? Hell yes! It’s the only show on tv to watch. I love Criminal Minds, but wish they would bring back Hotch and Morgaon! Me too but they added some other great people. YES! Best show ever! Hoping it will stay on forever! Me too, just he had a little fight. People are not perfect especially liberal actors and writers. They think they are beyond being told what to do or say. I god forgive that could ever say sorry I made a mistake because their egos are so far up their but!